Why are the Himalayas considered geologically alive? When did the First train huff and puff its way between two stations in India? What was Indias very own desi dino called? How did Indias currency come to be Named the rupee? Which Indian glacier is the highest battleground in The world? Who wrote the worlds first grammar book? 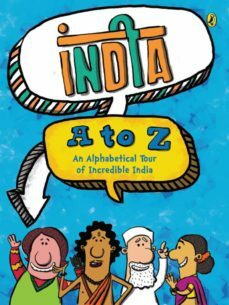 If questions like these make you curious about incredible India, here is a bumper info-pedia packed with fascinating facts, terrific trivia and colourful Cartoons on just about everything in India, this book encourages interest in a wide range of subjects. Use it for homework help, for project ideas, to Boost your general knowledge or as a ready reference because this must have Book makes getting to know India as easy as ABC.